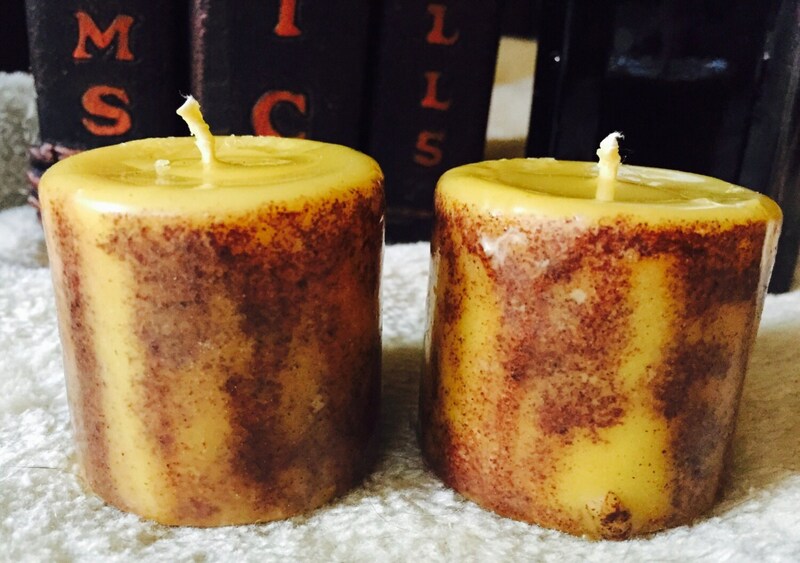 These are 100% pure organic beeswax and are the perfect size for your altar. Small enough to burn without endangering anything above it. 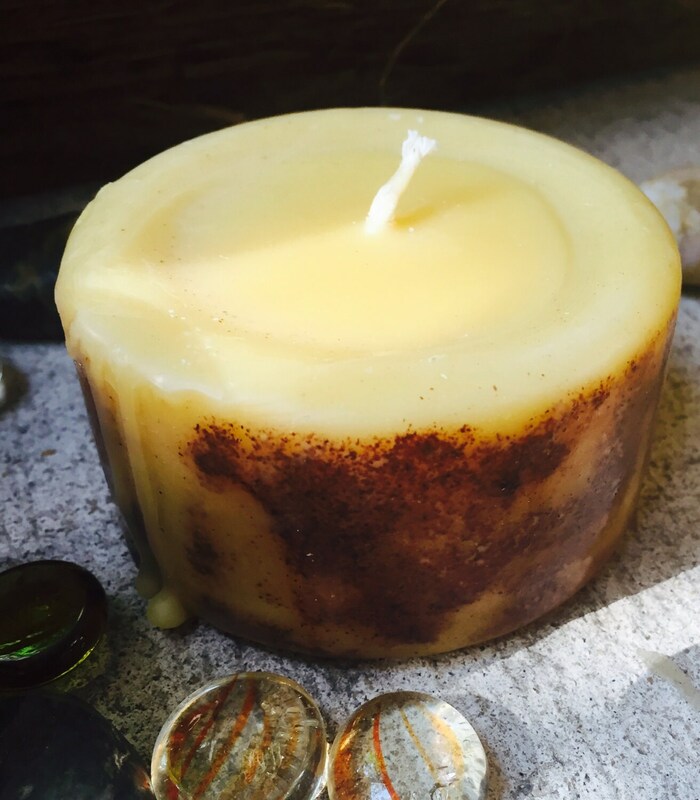 Beeswax doesn't drip so this candle can sit directly on your altar therefore grounding it deeper within. 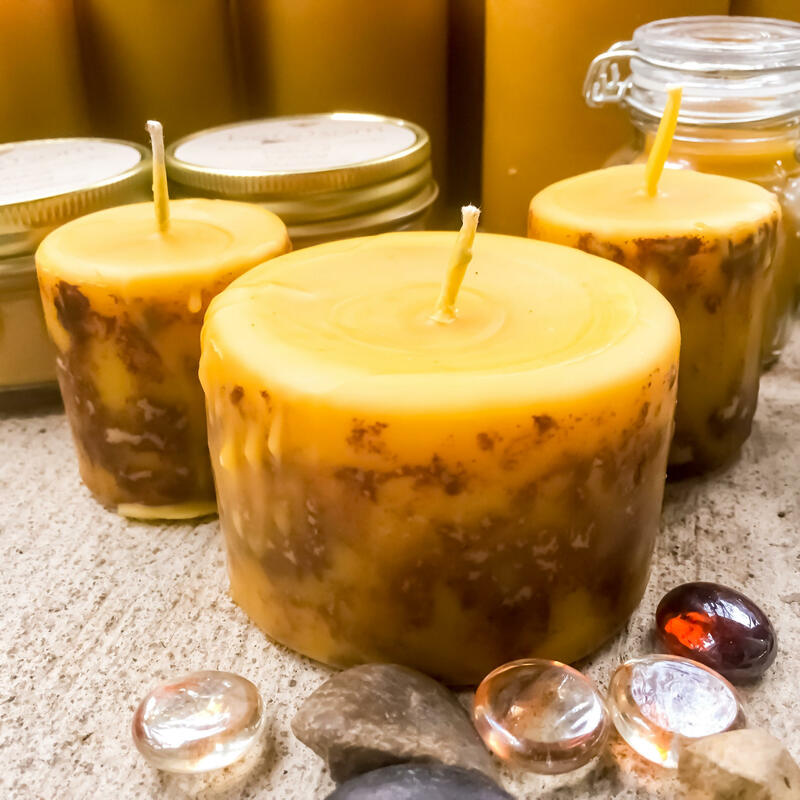 Beeswax is very close to nature so it vibrates clearly. The only ingredients are cinnamon basil leaves, ground cinnamon and a cotton wick. 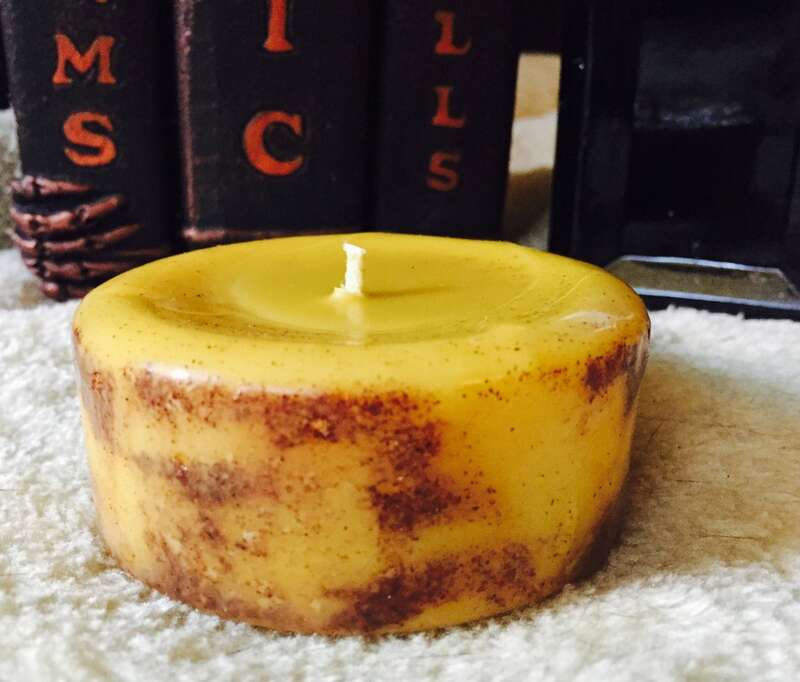 *Item listed is for 1-8 oz and 2-4oz 100% beeswax candle Love Blessing candle. 2- 2"x2" and 1- 3"x2"
My candles are charged with a kind intention and are poured in the waxing moon to signify new beginnings. Waning candles can be requested to bring upon an ending or completion. Each candle is hand poured by me in my studio. 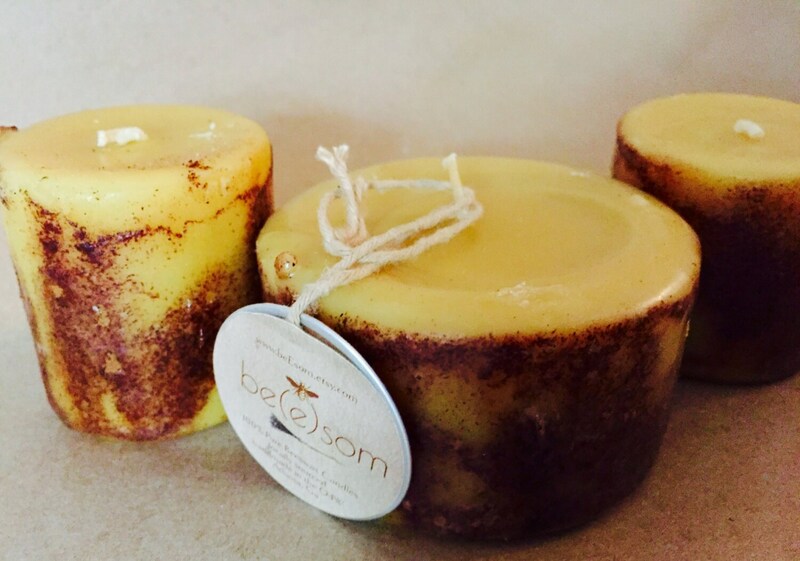 All candles are unscented but do retain a warm, sweet honey smell from the beeswax. ***Be sure to trim wick each time you burn the candle to 1/4 inch. The scent could not be more cozy and inviting. They draw me to relax. Will definitely be ordering more in the future! Thanks for the extra little piece. Smells amazing! 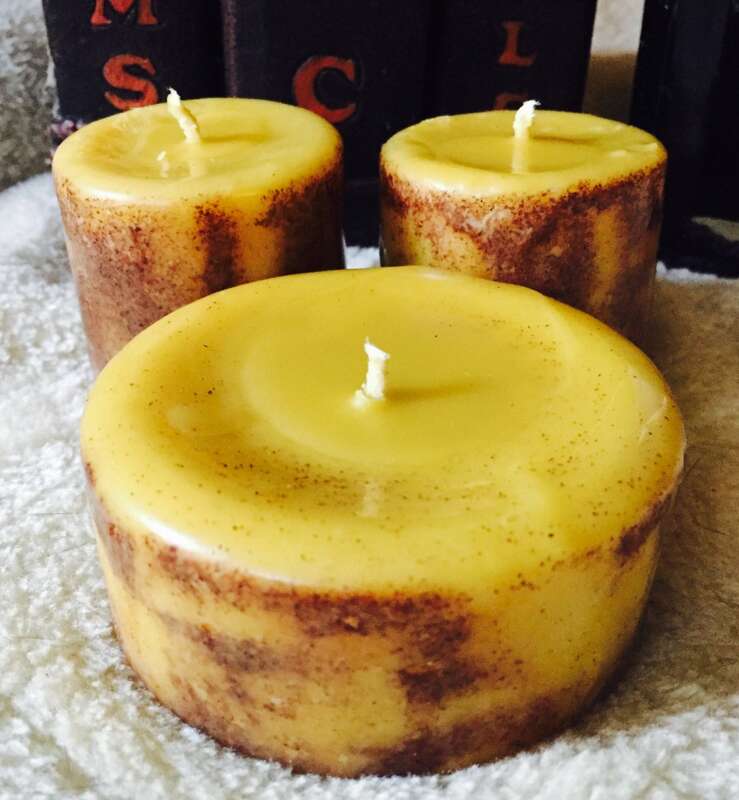 These are rustic and as all beeswax give off a clean flame. I did notice the large one separated on top and I needed to disgard that thin layer. Oveall...lovely. Lovely candles! Will purchase again. Absolutely gorgeous. I'm stuck though, I can't tell if I want them to last forever, or if I want them to burn quickly so I can buy more! Awesome product, and super fast shipping. Thank you for your product!